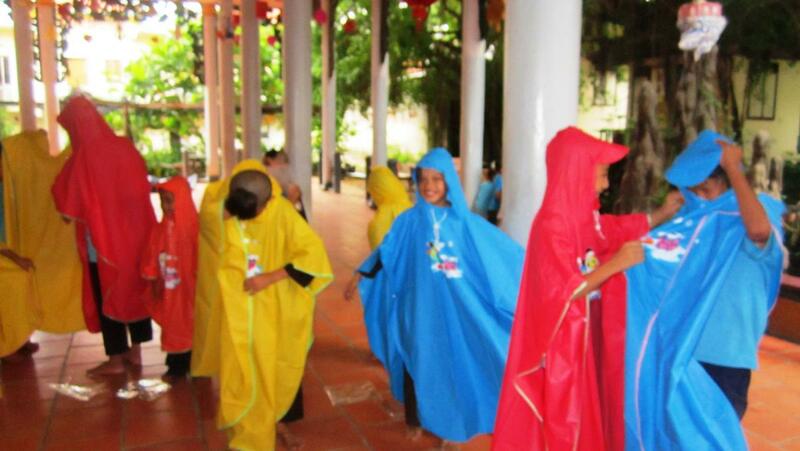 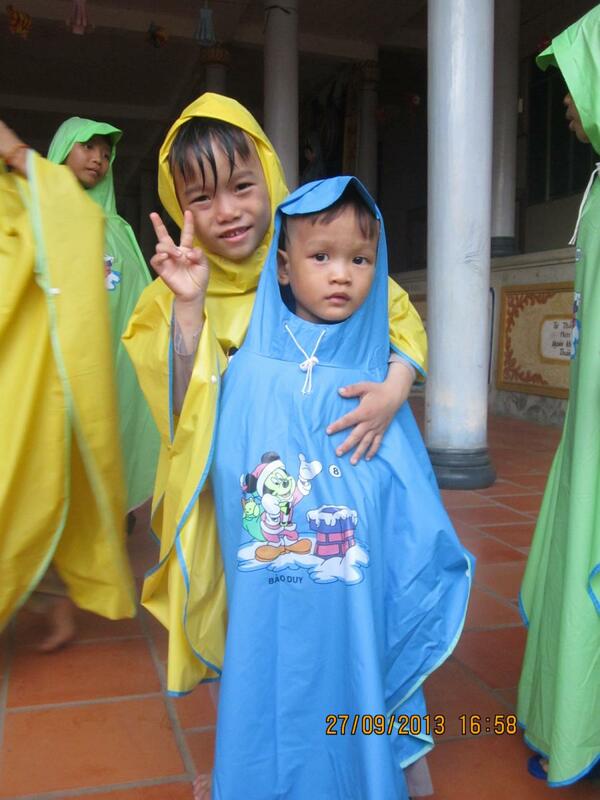 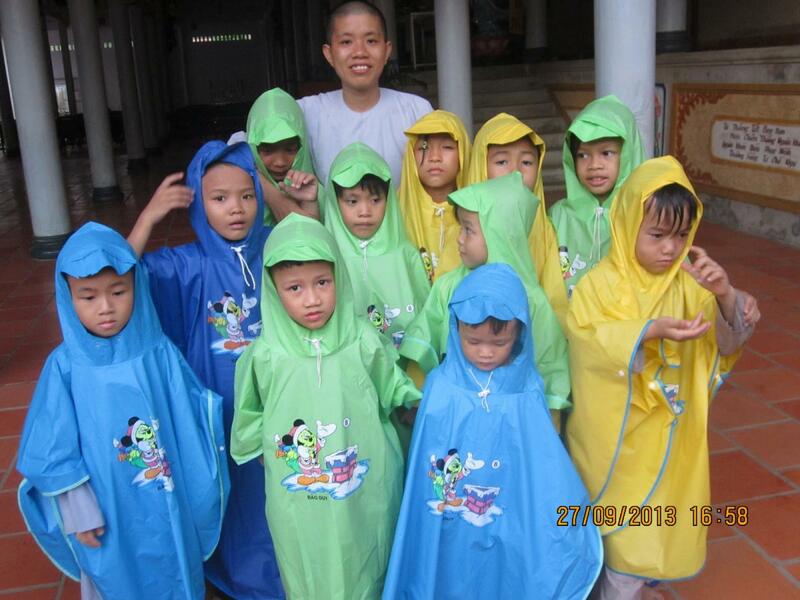 On September 27, 2013 we brought new rain ponchos to the children of the Loc Tho Charity School and Orphanage. 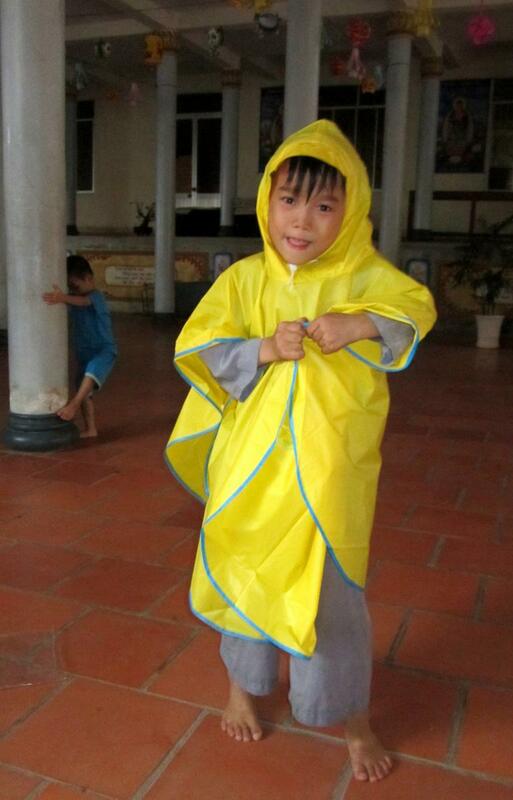 It’s the beginning of the rainy season in Nha Trang, which means soggy children going to school. 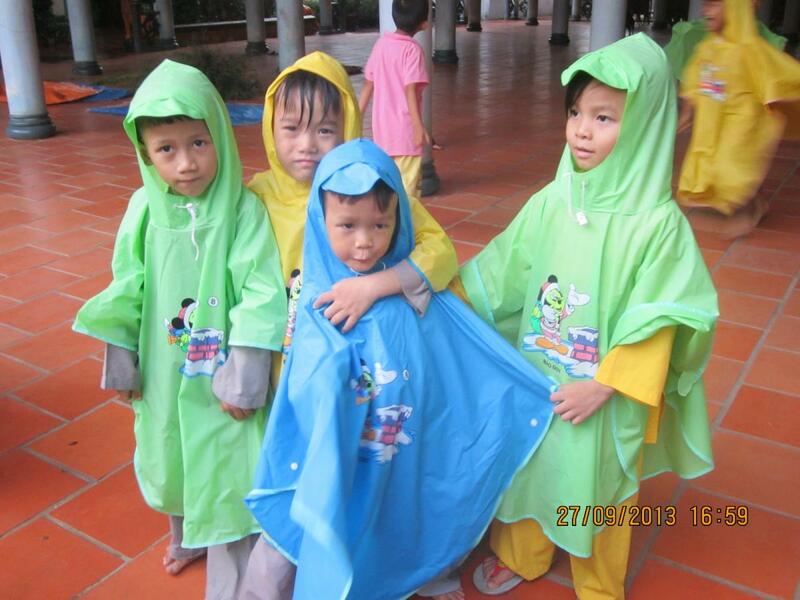 Low income families generally buy the thinnest rain coats available, which offer little protection from the elements, and rip easily as the season wears on. 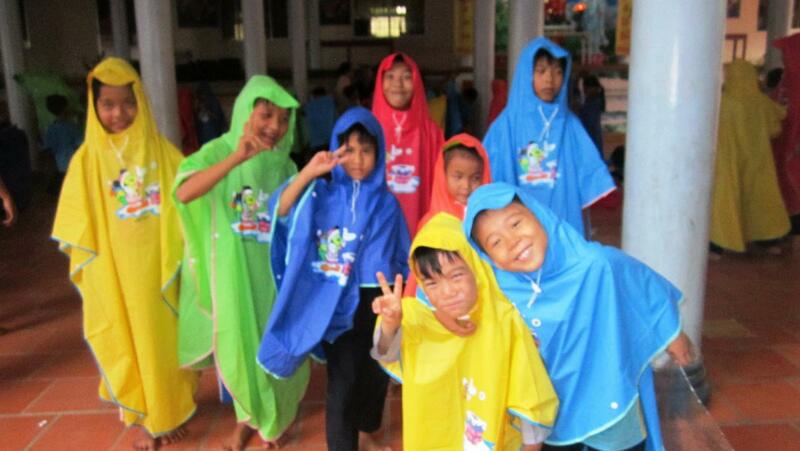 Thanks to the continued kindness and generosity of Richard and Marjorie, the children all have high quality ponchos to keep them warm and dry. 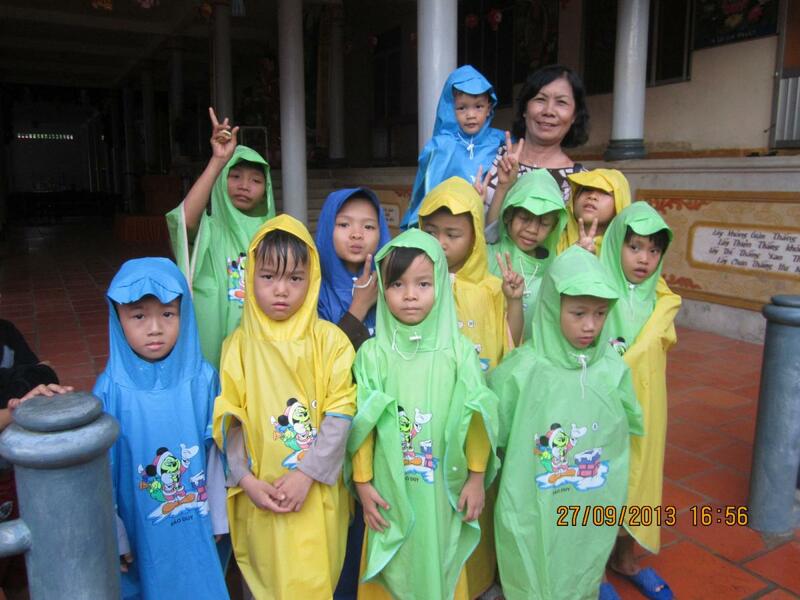 Loc Tho offers free primary schooling to poor youngsters, and with this donation our lead coordinator Hiep was able to buy 107 colorful ponchos for all of the school children. 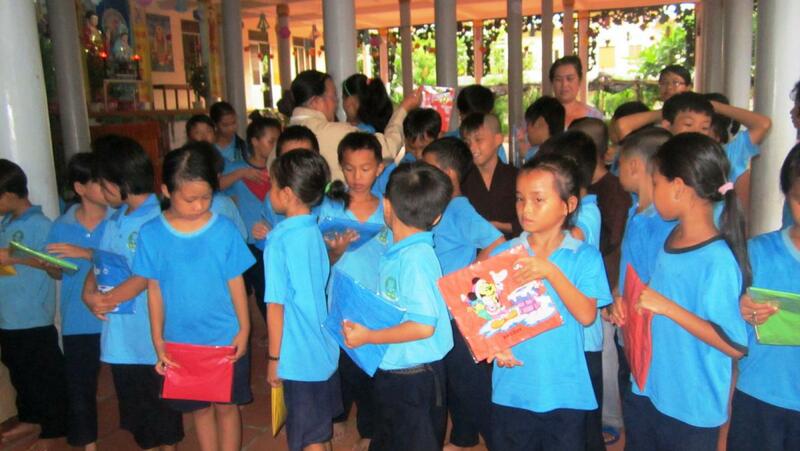 Thank you Richard and Marjorie!